The Prison Industrial Complex is a form of what I call "educational warfare." It is not a war that the PIC itself has enacted, but one which it carries out, quite effectively on its already captive masses, in collusion with the larger psychological warfare agenda of the governing neo-colonial system. The prisoners languish inside, trapped in a deplorable state of ignorance. Mental boundaries often go no further than the few city blocks of their own neighborhood's horizons. The illiteracy of the many would be laughable if it were not obvious that, for the most part, it is not self-induced. With no expectations that the captors will relent, for it is not in their interest to do so, the captives must endeavor to enlighten themselves in an organized manner. With an annual nine-figure budget, California Department of Corruption and Debilitations spends a paltry 1% on education and that being mostly focused on hands-on trades. Most offenders who flow in and out of the revolving doors are short-termers. Those who do request the few educational programs available are placed on a waiting list and end up arriving in a program too late to complete it. They are released having a basic educational benefit of nil. A few can learn plumbing, electrical, or carpentry in order that they can be used in skilled peonage supporting the infrastructure of the cage that houses them. It is no secret to officials that studies have proven the more a prisoner is educated the less likely they will become a recidivist. It is also confirmed knowledge that higher levels of learning translate into decreased levels of physical aggression in said individuals. That alone is a threat to prison officials who thrive on prisoner violence because they are given a financial boon in the form of hazard pay when such incidents occur. Not to mention politicians who thrive on incidents of violence to terrorize their constituents into voting one way or another. The only conclusion that one can arrive at is that it is desirable to those in charge to have a segment of the population destitute of their rights, politics, economics, social development, higher learning, organizing skills, and the value of true freedom. It stands to reason that the forces who desire the true good of society must consider the importance of educating prisoners. Educated prisoners, when released, have not only more confidence, but they also possess greater opportunities of obtaining gainful employment. This will give them the potential to aid in restoring economic value to families and communities. Educated prisoners increase the pool of those who can become politically active to affect lasting societal change. Educated prisoners increase their chance of avoiding legal trouble and if faced with such, unjustly, may have better tools to avoid imprisonment. Educating prisoners will decrease crime and violence as minds expand and deepen. A society is judged by how it treats its weakest and most vulnerable, and is only as strong as its weakest link. MIM(Prisons) responds: Though all that this prisoner explains is true, the imperialists don't see benefits from educating the oppressed. That is why we run a Free Political Books for Prisoners Program, and conduct political study classes with our comrades behind bars. For many prisoners this is the only education available, and we have seen great advances in understanding and organizing as the result of our programs. By expanding the understanding of the oppressed we heighten the contradictions that must be resolved to end this oppression. Only a society that has eliminated the profit motive of capitalist economics can grant all people the same rights and opportunities. As revolutionaries who are conscious and active in the national liberation struggles of oppressed nations' anti-imperialist movement in general and in the United $nakes in particular, there is a need to understand the motive forces controlling our lives and how these relate to oppression. As materialists we believe that knowledge is key to understanding these forces. The masses read bourgeois newspapers and media and take up the political line of the imperialists without really consciously knowing. I'm speaking here of the politically unconscious. For example, after 9/11 there were many oppressed nations prisoners saying "we need to bomb those terrorists and kill them all, them dudes are crazy." Lenin, Stalin, Mao and Huey all taught us that we need to develop independent media institutions of the oppressed to build public opinion for revolution. It is with this thought in mind that I am proposing that all members and associates of the United Struggle from Within work to increase the subscriptions and readership of Our independent media outlet, Under Lock & Key. How do I suggest we do this? By (1) getting prisyners in your unit or prison to write in and request to be on the ULK mailing list, (2) making copies, if possible, and circulating them, and (3) having friends, family members, other groups, etc., send money in for subscriptions and check out MIM(Prisons)'s website. My persynal goal is to get 50 prisyners to write in and request a subscription over the next six months. Most prisyners are poor and will readily write in for any type of reading material that they can get free. Our duty is to appeal to that particular material interest as a way to spread the word and share knowledge. I believe that the more people become exposed to new ideas, programs, etc., the better chance we have of bringing them into the movement. After all, a lot of people simply don't know. So they can't be held accountable for their actions. By exposing people to the real world we take away their excuses and they have to make a conscious choice — to be on the side of the oppressed or the oppressor. Educate to liberate! MIM(Prisons) responds: Our principal task in preparation for socialist revolution in the United $tates is to build public opinion and independent institutions of the oppressed to end imperialism. 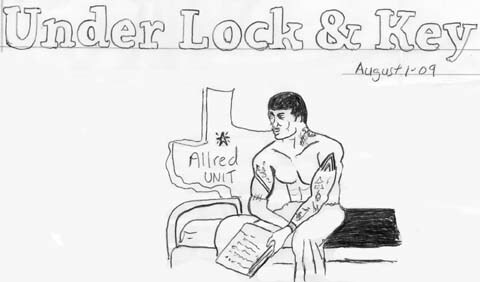 Under Lock & Key is an independent institution that builds public opinion, primarily among the imprisoned lumpen. USW provides more content for ULK than any other group, and we would encourage comrades to take up this call to begin a real campaign to expand distribution everywhere that USW is active. We want to echo this comrade's call for financial support as we just completed discussions of how to better ensure that our distribution methods are effective and resources are not wasted. MIM(Prisons) has no paid staff and we work with a very small budget with no funding from outside institutions. Therefore, donations sent go a long way. While prisoners are often indigent, oppressed nations in the United $tates benefit materially due to imperialism (they get the crumbs from the king's table), so we wouldn't say that the only thing holding many people back from joining the anti-imperialist movement is their ignorance, as this comrade does. However, s/he is correct to say that exposing people to revolutionary ideas will enable and force them to consciously choose what side to be on. So push the revolutionary movement forward and help expand the distribution of Under Lock & Key! I am writing on behalf of a great number of Florida prisoners. I have now been incarcerated, day for day, in the State of Florida, for over fourteen years. I was arrested at the age of eighteen, sentenced to serve the rest of my life in prison at the age of twenty, and will be thirty three years of age on Nov 4th, 2009. My first year in the state prison system, between the ages of twenty and twenty-one, I succeeded in earning my GED and completing a vocational course in small business management. After the age of 21, and due to my having a life-sentence, I lost virtually any further opportunity to participate in such prison education programs. At the time (1996-1997) those prisoners under the age of twenty-one were given priority enrollment in such programs - those over twenty-one were given a secondary priority based upon their release dates. Since then, and over time in general, educational opportunities provided to the prison population collectively and overall, have only become more and more restricted. Not only are we no longer eligible for government grants or loans, but the state funds that were once allotted toward prison educational programs have been both dramatically cut from the state budget and absurdly funneled into other departments of the correctional (in no sense rehabilitative) system - such as those departments which advocate the building of more prisons. In fact, a more than significant amount of the state budget set aside for educational programs outside of the prison system, has gone disproportionately toward that same goal - the building of more, greater restricted prisons. As I write this letter there are many prisons throughout the state that have not a single educational program to speak of, period. On average, a Florida prison houses approximately one thousand prisoners. Of any of these groups of 1000, the vast majority have never attained neither a basic education nor a specialized skill. Without these tools, again and again they will fall by the wayside - as those who are better equipped, for whatever reason, continue to progress. The prison population, not only in the state of Florida but across the country, has boomed, and in many cases has exceeded maximum capacity. Supreme Courts in the State of California have ordered the reduction of its state's prison population by 40,000 people. It is nearing two times maximum capacity. Why? Of the 40,000 people to be released in the State of California, how many of them will have earned a GED, how many of them will have learned a trade, how many of them will have been given the opportunity to utilize their time in prison with an option to participate in a college level correspondence course, and most importantly of all, how many of them will return, because of the denial or limitation of any or all of these three? Senator Webb, as I have already stated, I have been sentenced to serve the rest of my life in prison. But it wasn't until some point of my developing life - a period that some would say came too late - that I realized that I was indeed a part of a greater whole. I say this because regardless of my personal circumstances I hold fast to another conviction as well: the fact that I still have a life in which to serve. My service has spanned from both prison classrooms and prison youth tour programs, to prison recreation yards and even disciplinary confinement cells. I have helped both 40 year old men and kids as young as fifteen - yes, kids as young as 15 - learn how to read, write, and work arithmetic. And it is in that same spirit that I wish to be serving now by writing this letter, and giving them (us) a voice. Senator Webb, I believe service is something you can relate to. I've heard speak of you over the BBC radio broadcasts, I recently read of your trip to Burma in Time Magazine, and your devotion toward the need to improve education, in general, was recently touted in an article published in the periodical Under Lock and Key. Whatever proposals you make, points you debate, objective you've set out to reach, and obstacles that will impede the way ... we would like to play a part as well. Education, or the lack of, is the most relevant factor in the manifestation of (our) criminal behavior. Whether it be academic, social, moral, or personal...the prison systems of America have very little to provide, if not simply just less and less. Continuing to deny the U.S. prison population this single provision alone, is to continue to promote the ignorance of a system that, per capita, currently has imprisoned more human beings than any other nation in the world. The question why - even among us, the illiterate, is no longer any more profound than it is rhetorical. Your letter of Sept. 29, 2009 has been received and upon contemplation it is my conclusion that it was somewhat automated. In no way could my original letter to this office have been construed as concerning my "trial or any of the legal issues surrounding [my] case." Furthermore, my contacting you, a Senator of Virginia, instead of a Senator in the state which I reside, should give credence to the reason. My Desire is to learn more about the National Criminal Justice Commission Act of 2009, and how we (the incarcerated) can help to further that bill. A personal response would be highly praised. I read ULK 9 and enjoyed the attention given to education in this issue. The political education of the lumpen should be central to the revolutionary movement of north amerika. There are three pillars in any true revolutionary process: organization, politicization, and mobilization of the masses. In other words, theory before practice and unity before everything else. I am in my fourteenth year of incarceration on a life sentence. I came in at the age of 18 and I have observed the forging of lumpen alliances for a number of various reasons over the years. Very rare is it to find a lumpen organization (LO) with a sound political line and/or agenda, and even more rare is it to find an LO of such a professed platform that actually practices what they pretend to preach. I am also a representative of the ALKQN and so I write from the same side of the battle lines as the rest. It should go without saying that a movement absent foundational theory is bound to fail, but the truth is these things need to be said, explained, understood, and accepted. One of the primary and principle things that we, as individual and collective members of today's LOs have to establish is the question of political theory and exactly what kind of society we aspire to affect. The Maoist Internationalist Ministry of Prisons is aiding us in this way, yet there is much more political work to be done amongst ourselves. The ability to define the difference between capitalism and socialism is fundamental to our level of education. But so is the realization that we, in general, as the lumpen proletariat, referred to by Marx as the 'underclass,' have the task of eradicating the remnants of the former (that are so deeply planted in our subconscious that we more often than not fail to even realize or acknowledge) before we can truly even hope to successfully set out to establish the latter. Sufficient political work needs to be undertaken in the goal to raise collective political consciousness. Classes are essential to such a program. We need the demand for unity on every corner, and the serious dedicated attempts to effectively study and debate the materials we are afforded by such groups as MIM(Prisons). Some of our respective LOs have histories that stretch back into the 1940s. Many of our LOs have revolutionary grassroot origins. There are those of us who realize this and who are struggling to re-align ourselves, and those around us, with the spirit of those beginnings. But it is a mistake and an unseen obstacle in our failing to analyze, consider, and take into account the opportunism so many of our leaders began to shroud themselves with at the beheading of the Black Panther Party for Self-Defense. This opportunistic spirit is what helped magnify the influx of both the drug and "gang-banging" culture we so readily embraced throughout the late 70s and all the way into the early 90s. It also resulted in the influx of brothers and sisters who were met with open arms, and empty heads. That era, for the most part, was declared a victory by the federal government. Our communities were war-torn, drug and crime infested, and the U.$. prison industrial complex was impregnated with more bodies of color than any other place in the world. And a new era began, the era of programming. All these things need to be taught. 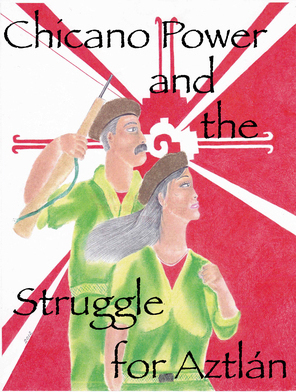 If we are to become serious and elemental in the fights against imperialism we must come to accept ourselves, the lumpen, first as a product and consequence of capitalist society, and then, as the spear-head of the revolution - a true socialist revolution, for ourselves, and for the people of the Third World. Every one of us has a responsibility and an obligation to the true meaning of our respective LO to manifest it in our every breath, action and thought. The label must become second to the representation. For in the end there can be no division nor dividing factors in the United Front. As revolutionaries, we are perpetual teachers. We must teach ourselves and each other, and in some cases even our very own leadership. A plunge in morale is a result of our own fears and failures to teach. As revolutionaries it is up to ourselves not to become discouraged or weary, and it is up to ourselves to muster the physical, moral, and intellectual effort it takes to dare others to learn and to teach. In the words of Nelson Mandela, "Much work remains to be done among us all to raise the level of political consciousness so that every cadre, however high the position they may occupy, is schooled in the policies of our movement, its character, its strategy and tactics." Education/political consciousness is key; unity in that line is the lock; the safe is the imperialist/capitalist mindframe that must be cracked; and the new man or woman, the turning wheel of change, the revolutionary, is the hidden treasure within. Greetings to all my brothers and sisters and political prisoners. I want to encourage all comrades to promote educational thinking. My cellmate, who is a Crip, took time out of his schedule to teach me how to count. Yes, count. I dropped out of high school in the 9th grade to only have to come to prison and learn math. I'm 37 and my celly is 28. He encouraged me and pushed me to use my mind. We have had our ups and downs inside this cell which is in a high security unit. The administration does not care if we kill each other, but instead we build each other. He sees my potential and motivated me to use it. Comrades, do not let youth fool you. They look at us as leaders. But if you only want to prove how ignorant and violent you are or "was", they will continue to promote that too. Failure is falling down and staying there. Get back up! Know thyself. Back in 100 A.D. a greek philosopher named Epictetus uttered these five words: "Only the educated are free." Today these five words ring true to a lot of us who find ourselves in residence behind the walls of the United States prison system. The U.S. has 5% of the world's population, yet is responsible for 25% of the world's prison population. 1 in every 31 adults in the United States is in jail, prison, or on some sort of supervised release. Now, with that in mind, we prisoners should have a strong voice, and I applaud MIM for trying to help us organize that voice for the common good. Where do we start? Go back to the quote I opened with, and then take a look at MIM platform plank number one: Primary, secondary and college education free to the whole world. Let's localize that to ourselves for the time being. As "guests" of the prison system, we have lots of free time. In case you have not noticed, the government has no problem with us using all that time to play cards, watch TV, maybe take a few of their so-called "educational" programs and basically kick us out the door no better than we were when we came in. There are a ton of correspondence courses available to prisoners from many different colleges in many different disciplines. Apparently though, a criminal seeking a higher education, to better himself while behind bars, scares those in charge. In 1994, the government stopped awarding Pell grants to prisoners to pay for their education. Considering that, by the Bureau of Prisons' own statistics, 40% was the average recidivism rate for parolees in general compared to only 5% for those with college degrees. So one would have to ask, why would the government choose to promote recidivism versus education? There are two simple answers: money and fear. The government makes too much money off of prison and the fruits of prison labor. Ask why only the rich and the white collar criminals are deemed worthy of outside education and a realistic shot at not coming back to prison. MIM(Prisons) adds: Send us copies of letters sent to Senator Webb so that we can also publicize this struggle. 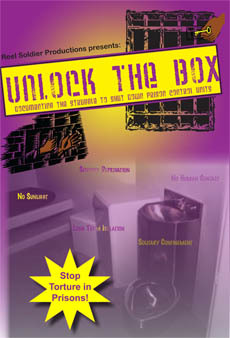 We also point our readers to Under Lock and Key issue #8 where we discussed in detail the economics of prisons. In reality the government is not making money off prison labor, but they are benefiting greatly from the social control provided by the prison system. To my komrades at MIMs, I would like to thank you all, firm and true to our cause members, seeing and making progress with the lumpen and other oppressed groups. I just received your Under Lock & Key March 2009 issue, and I was pleased to read the many different views and struggles around Amerika (prison system) which not only inspire me but allow for me to understand that this octopus of a capitalist system is still at war oppressing people and nations. The revolutionary mindedness that I have built upon since receiving your publications, going on two years strong, has given renewed strength and encouragement not only to me but to all those seekers wanting to be and who are a part of your movement. My highest respects! I myself have been reaching to the masses in here and out in the free world trying to maintain unity and strength and by doing so I’ve come to see that so many prisoners who are locked up with me don’t have that kind of support from outside people. So what I have come to do in light of that has been giving your information so that they may find encouragement and mental support through your organizational work. Not everyone I’ve come across understands the oppression that they face because for some reason they truly believe they are given this life of pain and slavery behind the choices they have come to make. I try my best to express to them that it is the fucked up politics of this government that has us doing these things, and some come to see and understand and others choose to ignore and accept everything that comes their way. Man! It’s crazy how some people think in here. I'm writing this letter because I'm upset with the Texas Prison education system. Here in the Hobby unit they lack the space in classrooms and the counselors seem to not care because the seats that could be put to good use by someone who really wants to better themselves are being given to and occupied by people who don't want to be in school. I completed one of the three vocations that I am allowed to take through TDCJ in July of 2008. I have been waiting since then to take another vocation, one of which is offered here, but they are steadily putting people in the class who don't want it. I'm due to see parole anytime from now until April so I qualify to take the vocation but still have not been put in the class. I'm outraged because we are supposedly sent to prison to rehabilitate ourselves, however we are denied the fundamental materials necessary to do so. I received my GED October 2005 and that was the last time I took what Texas prisons call an EA test to see what educational level you are at. I'm a 9.5 on a D level and I've been trying for almost a year to be scheduled to re-take my EA so that I can bring my score up to an A level so that I can attend a college vocational. I've been told that I'm on the list for almost a year now. Although the Texas prison system has an educational program, they do not want us to better ourselves. This is unacceptable for society. To my loyal solid freedom fighters. ULK5 has reached its destination safe and sound (to my hands). I must say this one really caught my eye. It's contents are enjoyable and very inspiring to say the least. First, I'd like to extend my thanks and appreciation to MIM for their unending support and dedication. You never fail to teach or elighten me on so many different levels. I can't wait to be set free and given my opportunitity to help and shine a light on the injustices of this corrupt system. I'm pending validation right now so I can really identify with what was said in ULK. Obama changes nothing, Amerika can't see this point of view. I mean are they blind, in denial, or what? Especially when rappers, musicians, go out of their way to show support. I understand the dire need for change. But changing the face is not going to change the system. The comrade who wrote this article couldn't have said it better: "why is it that if Barrack Obama starts talking about the empowering of oppressed people in this country, he wouldn't stand a chance of becoming President?" Because that's the truth and a lot of people can't handle the truth. And to CDC's name change, it's ridiculous, nothing but a lie. I'm up for parole in a matter of months. I've been down 10 years. What are they doing to help me prepare for society? Not a damn thing. Except find a way to oppress me even more by labeling me an active gang member and validating me as a prison gang member. All in an attempt to further hinder my so-called freedom once I depart from these gates. Now I'd like to take a minute and respond to a New York prisoner's words. His is a response to ULK4. He sees the great need for struggle, this can't be stressed enough. We must be patient and humble. Do not let others actions or words disturb our peace and harmony. We need to stay focused on the big picture which would be true liberation. We must educate ourselves and learn rules, laws, and regulations. Even CDC's appeal system. I know it sounds crazy. The system sets up a system to hear their own grievances against them. I have no faith in it either from personal experience. There is a way to work it, however, and that is get an outside organization to assist you. Send them copies and have them send them into wardens or overseers. You must have patience, build a paper trail, and document everything pertaining to said incident. My last citizen complaint took 4 months just to hear it on an informal level. The stalling in time is just a tactic CDC uses but don't be discouraged. Assist one another, teach and guide one another. And to a Mississippi prisoner's Combatting Liberalism: very well spoke comrade. I aspire to put words together as you have. They truly inspired me. Reading this whole ULK was inspiring. It's words such as these that keeps that fire burning within to the fullest. I awake everyday eager to learn or teach somebody something new. As I sit here and watch what the Texas Department of Criminal Justice has done to my fellow man, I can't help but pick up the banner of justice and fight for a just cause. What I see day in and day out, is a group of men beaten by a system of oppression, with no identity or cause to go on living under the title of "men." Everyone in this system has given up. They are in a state of confusion, with no understanding on what it means to be free. Free from the bonds that the system wants you to be in. I've noticed that it's not that the system that won't let you educate yourself, they just won't. They are more interested in the idiot box (TV) and being modern day slaves of the system. The average inmate is content with where he is now. The three meals, television and living quarters, a six by nine cinder block cell, is more than some have in the free world. The mentality is that its free food, no bills, and free medications for the taking. It's a pitiful sight. With thinking like this, the injustice system will never change. Texas is so far behind times that we still don't get good time and work time, but even with this, you are doing 80% of your time. What does it take for everyone to realize we can change this system and break it from the inside out? Without our labor, this system would fold in on itself. Our free labor makes the revenue to run this system. No work, no money. Anywhere you look and read, the Texas prison system is running at 50 to 60% shortage of officers. As many as they hire, the same amount quit. If no one worked who would replace us and at what cost? They simply couldn't. But Texas doesn't have to worry because the breed of prisoner now is content with oppression. It's a sad sight, but it's the truth. No one is willing to sacrifice for a better future and your basic human rights. Can't they see we are a force that can't be denied. You don't stop being a man just because you were sentenced to do time. A man will always be a man regardless of the situations he is put in. It's hard to make them understand. the literature is open for the reading. Education, struggle, sacrifice, and unity is key for success. I'm doing my part to make the movement known. Fear has just been embedded so deep by authority that it eats their whole insides and steals their hope. Without hope, their futures are lost. All I can say is that, I plead that these brothers (by brothers, I mean all races) open their eyes and stand up against the injustices of the system. If you have a voice, let it be heard and felt. The same fear that the system throws our way, it can be used in return. I hope word goes out to all brothers of the struggle. Educate yourselves to educate others. It is key to further the cause, and stop the injustices of not only our system, but all inustice systems of these united states.